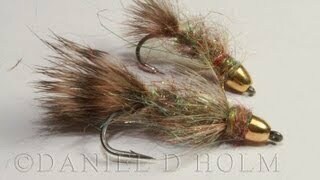 Hackles & Wings Fly Tying videos! Today we are, at last, going to tie a Streamer! A CdC Streamer that is. Not the biggest but a start, tied here in size 12 to represent a small browntrout for hungry grayling. If you would like to see more streamers, let me know in the comment section below.